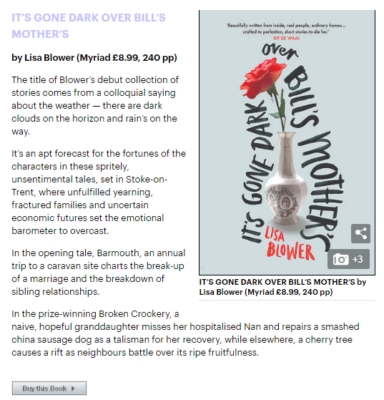 The amazing It’s Gone Dark Over Bill’s Mother’s by Lisa Blower was reviewed by Eithne Farry for the Daily Mail. It’s Gone Dark Over Bill’s Mother’s is published on the 11th April. Buy it now.